From the patristic period until today, John's Gospel has served as a major source for the church's knowledge, doctrine and worship of the triune God. Among all New Testament documents the Fourth Gospel provides not only the most raw material for the doctrine of the Trinity, but also the most highly developed patterns of reflection on this material—particularly patterns that seek to account in some way for the distinct personhood and divinity of Father, Son and Spirit without compromising the unity of God. While there have been recent, fine studies on aspects of John's doctrine of God, it is surprising that none summarizes and synthasizes what John has to say about God as Father, Son, and Holy Spirit. In order to fill this gap, Köstenberger and Swain offer a fresh examination of John's trinitarian vision in this New Studies in Biblical Theology volume. Part One situates John's trinitarian teaching within the context of Second Temple Jewish monotheism. Part Two examines the Gospel narrative in order to trace the characterization of God as Father, Son and Spirit, followed by a brief synthesis. 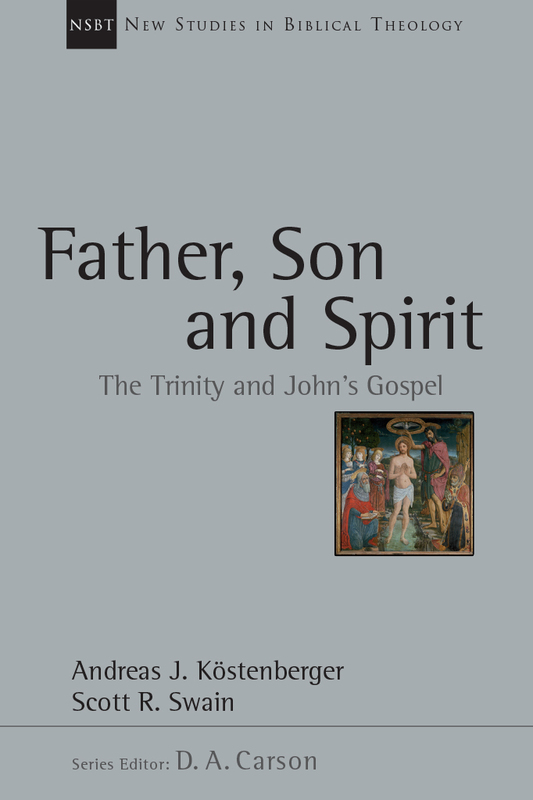 Part Three deals more fully with major trinitarian themes in the Fourth Gospel, including its account of Jesus Christ, the Holy Spirit, and mission. A final chapter discusses the significance of John's Gospel for the church's doctrine of the Trinity, and a brief conclusion summarizes some practical implications. 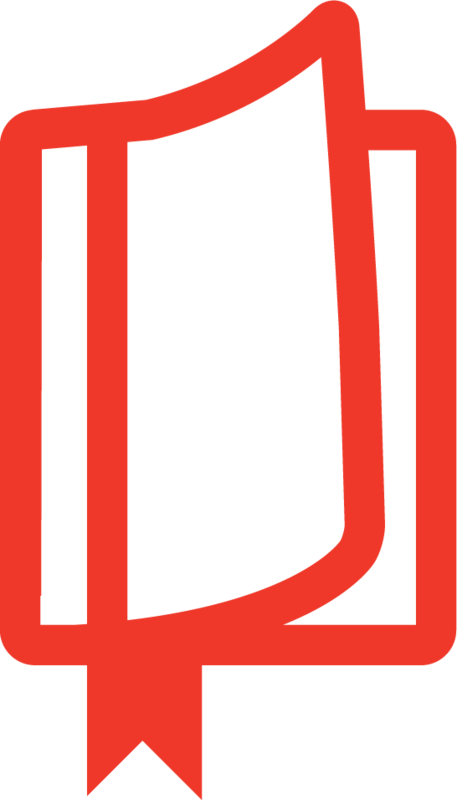 "A welcome attempt to bridge a disciplinary divide that sometimes serves to stifle conversation between practitioners of biblical and theological studies. . . Like all interesting conversations, it is well worth listening to the dialogue that emerges from this collaborative effort." 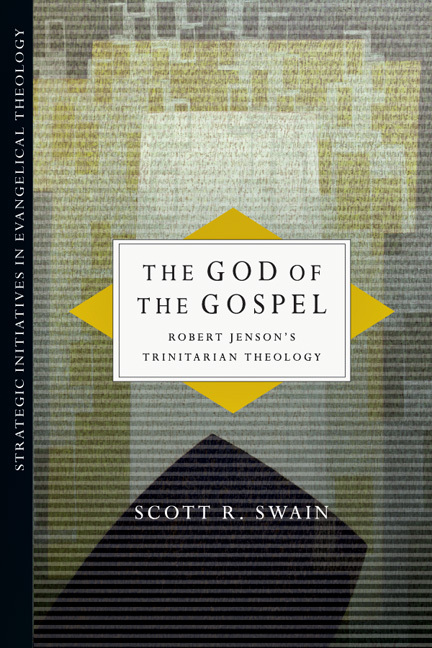 "A clearly argued and accessible study on the trinitarian theology of the Gospel of John. . .A stimulating overview to both current trinitarian thought and the broader scholarly debates within the field of Johannine studies." "Kostenberger and Swain have written an accessible and practical volume that provides a stimulating overview to both current trinitarian thought and the broader scholarly debates within the field of Joahnnine studies. This work will prove useful for thoughtful pastors, seminary students, and informed laypersons. It fills a lacuna in the field of biblical studies by providing a biblical survey and theological overview of the Trinity as it is presented in the Gospel of John." 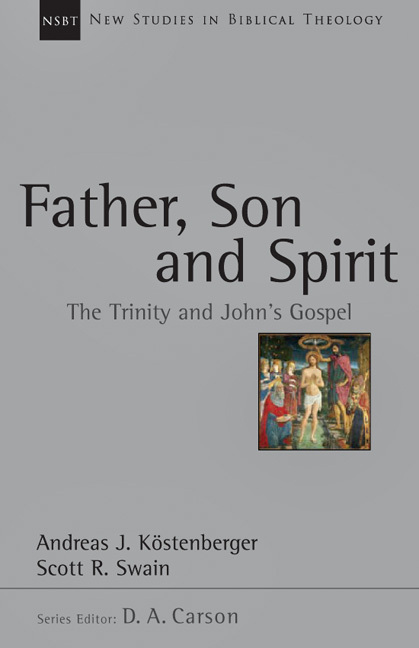 "In the midst of the Trinity debates in evangelicalism today, Father, Son and Spirit is a welcome contribution that provides a solid biblical-theological study of one of the most important biblical books on the triune nature of the Godhead." "I highly recommend this volume for pastors as well as those interested in more technical debates regarding the Trinity. The conclusions and theological reflections will provide the reader with a solid basis to begin thinking critically about issues such as missions and evangelism. 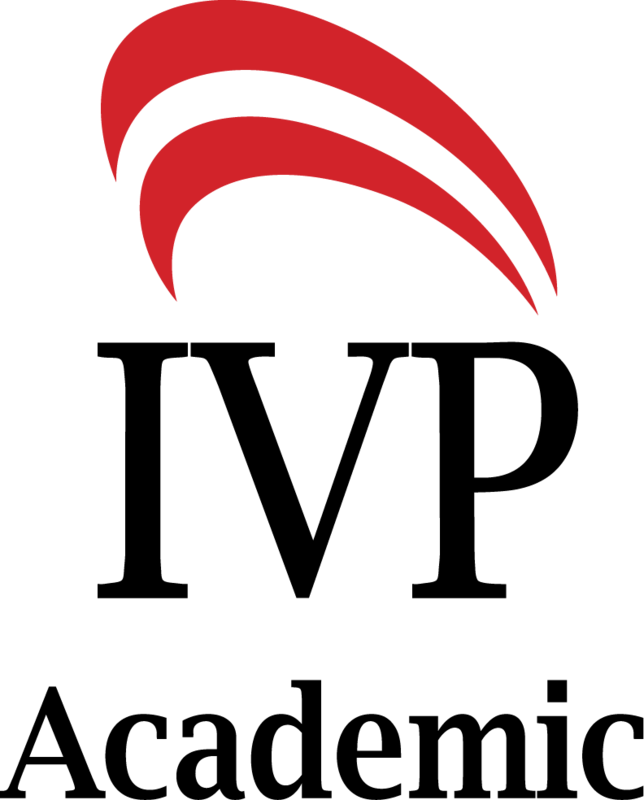 The book will also provide small group leaders and Sunday school teachers with great curriculum ideas." 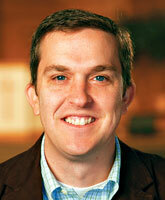 Andreas J. Köstenberger (PhD, Trinity Evangelical Divinity School) is professor of New Testament at Southeastern Baptist Theological Seminary in North Carolina. 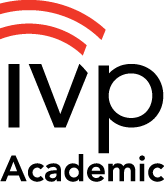 He is also coauthor of Salvation to the Ends of the Earth and author of the article "Mission" in IVP Academic's New Dictionary of Theology.